Visit 4 countries in 18 days! This program takes you to highlights in all four countries and is also logistically feasible. The heart of the four countries is felt, from the historical treasures in Turkmenistan and Uzbekistan, to the variety of landscapes and nomadic cultures of Kazakhstan and Kyrgyzstan. The number of kilometers in the car or minibus is thereby minimized, while four domestic flights (incl. Tashkent-Almaty) allow you to bridge a large distance quickly several times. The pace is high, but at different times, especially in the second part of the journey, you will have plenty of opportunities to take a rest. Finally, adjustment of the program in the case of an individual journey is of course possible. In 2019 you still need a tourist visa only for Turkmenistan, i.e. for citizins of most countries. We will arrange for you the invitation letter for the Turkmen visa which can be obtained at the airport upon arrival in Ashgabat. The start is in Turkmenistan, with a special focus on the archaeological sites of Nisa, Merv and Konye Urgench, as well as the intriguing capital Ashgabat and some bizarre places in the Kopet Dag Mountains. You fly over the desert to Dashoguz and from there visit the site Konye Urgench, near the border with Uzbekistan. 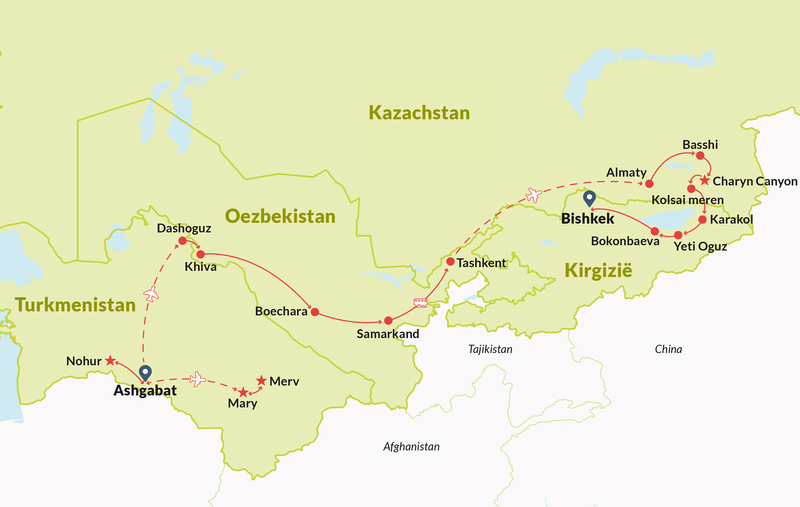 On day five, crossing the border into Uzbekistan to the ancient city of Khiva. Additionally you visit in Uzbekistan of course also include Bukhara and Samarkand, pearls of the Silk Road. After four days in Uzbekistan you fly from Tashkent to Almaty in Kazakhstan. On the first day the city and its mountains are on the program. Then, a 3-day tour by 4WD in Almaty province with its varied nature, including semi-desert in Altyn Emel, Charyn Canyon and the Kolsai mountain lakes. In summer, nomads with their herds are living in this area. From 2013 the border with Kyrgyzstan in the Karkara valley is open again (if just in summer) and we thankfully make use of that possibility. Entering Kyrgystan in the far north-east of the country we travel across highlands, in summer populated by nomads, to the the town of Karakol. With a tour along the quiet south side of the Issyk Kul lake, staying two nights in different yurt camps, we reach the capital Bishkek and finish our tour! You fly to Ashgabat, the capital of Turkmenistan, for the start of Central Asia journey. Upon arrival, usually at night or in the early morning of the following day, you can apply for your Turkmen visa at the airport with your letter of invitation and will receive the Turkmen visa. Outside the airport you will be met by a driver and transfered to your hotel in the city. Ashgabat is situated 10 kms from the airport. After having rested we start with a visit to the National Museum of Turkmenistan. 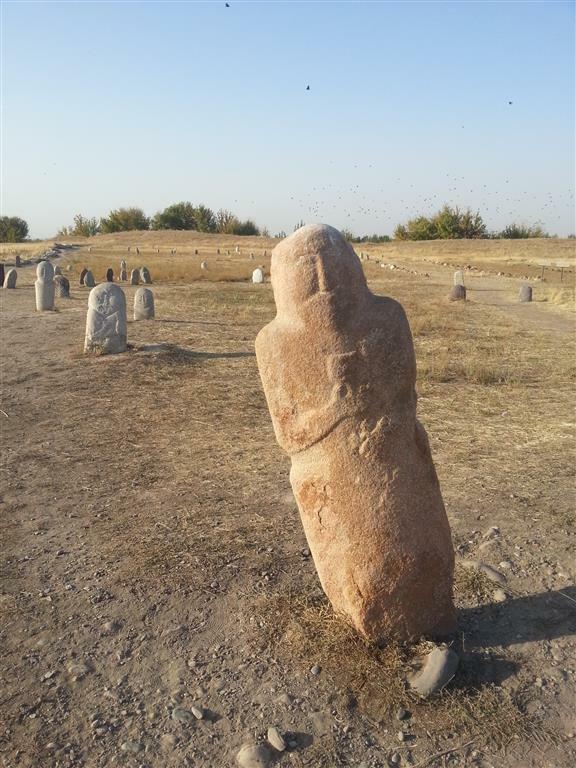 The archeology section in particular is very interesting, with very rare works of art from the early history as well as the Middle Ages, all found on the territory of Turkmenistan. Around 500,000 objects are exhibited in the museum. 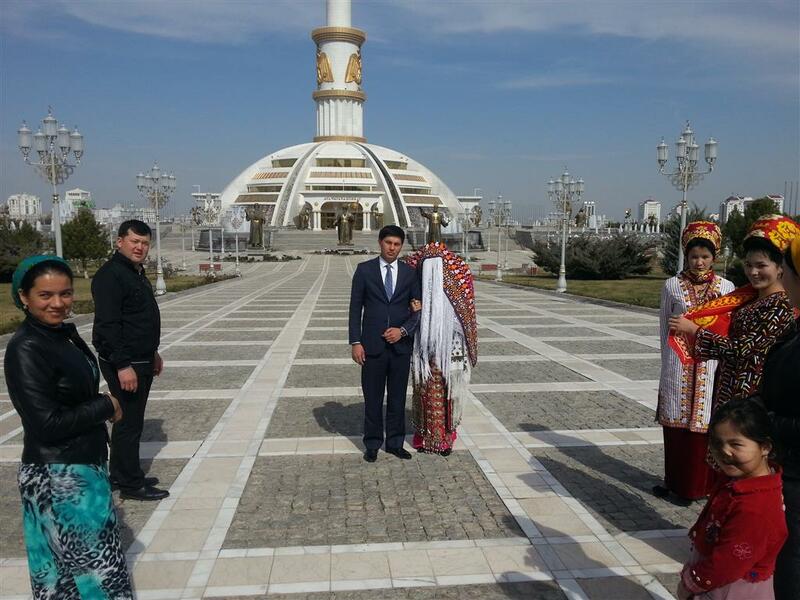 Then you will visit the Ruhy Mosque, the largest mosque in Central Asia, where 20,000 people can pray at the same time and which also houses the family mausoleum of the first Turkmen President Saparmyrat Turkmenbashy. Then a step back in time, with a visit to Nisa, once the capital of the Parthen (300 BC – 300), located just outside of Ashgabat. Finally, you will visit the Ertogrul Gazi Mosque and the “Arch of Neutrality” today. On top (75 meters) you can enjoy the panorama. When you drive through the new part of Ashgabat you will be surprised by the many buildings from white marble, and the lack of people. Transfer to the remarkable village of Nohur in the Kopetdag Mountains, the natural border with Iran. On the way visits to the Turkmenbashi Mosque and Mausoleum, the Geok Depe Mosque and the underground lake (hot springs) of Kowata (swimming is possible). Arrival in Nohur, populated by a people once arriving from Mesopotamia. It is said here is polygamy is still being practiced here, even allowed secretly during Soviet times! In the afternoon the village is being explored, including a visit to a tribal cemetery and a silk weaving workshop. Return to Ashgabat and accommodation in the hotel. Today an early rise because we have to catch a flight to Mary at 07:00 o’clock. (flight time may change). Arrival in Mary at 07:40 o’clock. Transfer to Ancient Merv (27 km from Mary) and visits to: Erk Kala (VI century BC), Gyaur Kala (III century BC), Mausoleum of Sultan Sanjar (XII century), Big and Small Kiz Kala (VI-VII century AD), Mausoleum of Muhammed ibn Zeid (XII century). Followed by a visit of the History Museum in Mary, a beautiful new building with a stunning collection artefacts from nearby sites. Back to the airport to catch the flight to Ashgabat at 19:40 o’clock. Arrival in Ashgabat at 20:20 o’clock (flight time may change). Transfer to the hotel and overnight. 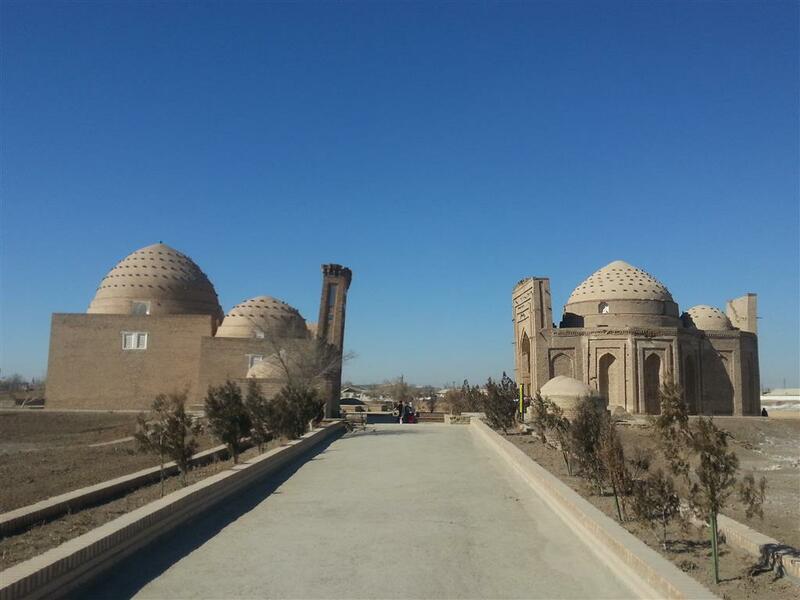 Sightseeing in Kunya Urgench: Mausoleum of Turabek Hanum, Minaret of Kutlug Timur-the tallest minaret in Central Asia, Mausoleum of Sultan Tekesh, Mausoleum of Il Arslan, Mausoleum of Najm et-din Kubra and Sultan Ali. We finish today with a return to Dashoguz and check-in a hotel for accommodation. Nearby Dashoguz you will cross the border with Uzbekistan in the early morning. Border formalities will take about one hour. In Uzbekistan, another driver will be awaiting you and transfer you to some 80 kms away Khiva. You will be checked into the hotel and after lunch will have plenty of time to explore the old town, accompanied by a guide. A long drive through the Kyzyl Kum desert takes you from Khiva to Bukhara. Along the way you make a photo stop at the Amu Darya, the lifeblood of the area, and have lunch in an oasis. In this part of Uzbekistan, especially near Khiva, the effects of the drying up of the Aral Sea cannot be ignored; the landscape is covered with a thin layer of salt blown away from the bottom of the lake. 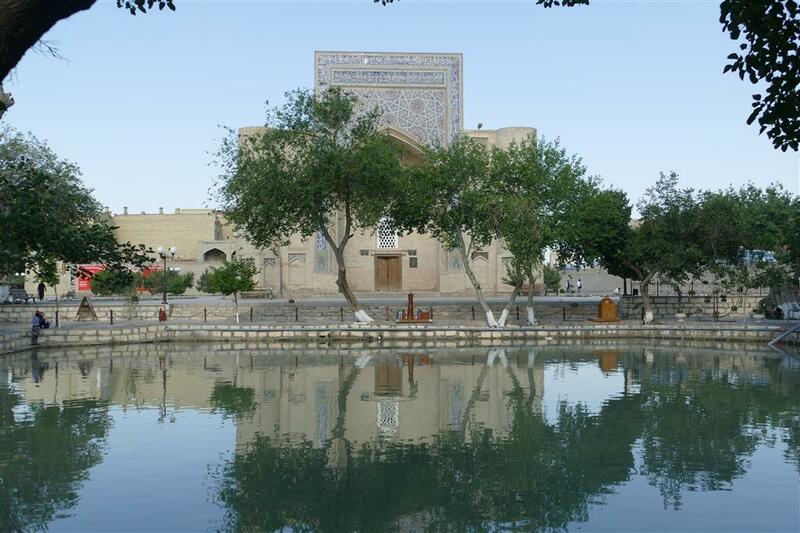 In Bukhara you will be accommodated in a hotel in the old town and have free time to get acquainted with it. 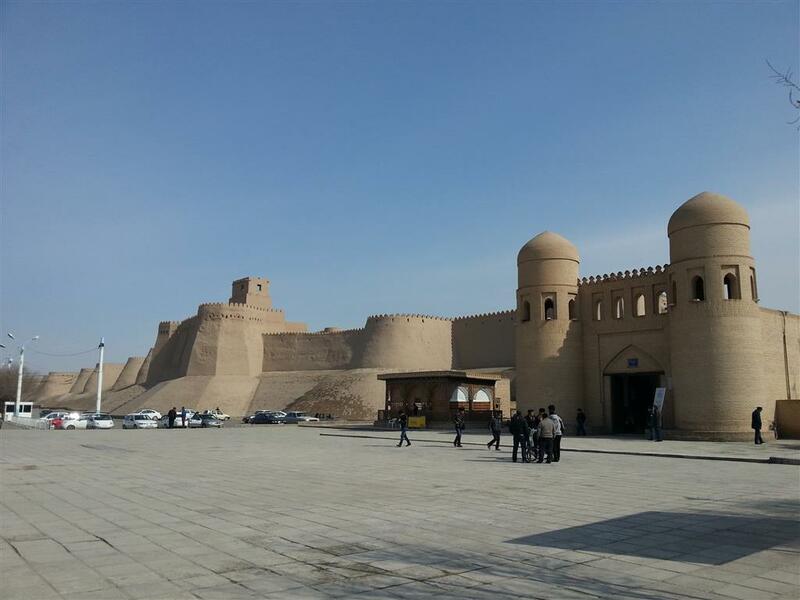 While Khiva is basically a (marvellous) open air museum, the old city of Bukhara is bustling and will give you a flavour of what life during the Silk Road times must have looked like. You will spent almost the whole day in Bukhara. The program today includes visits to: Ismael Samani mausoleum (9th-10th century), Chor-Minor, Chashma-Ayub Mausoleums (14th century), Bukhara local bazar. Jewish synagogue. Poli-Kalon ensemble with a minaret (12th century), mosque (15th century), functioning Miri-Arab Madrassah (16th century), Amir-Alim-Khan Madrassah (14c), Taqi (trading houses) Kukeldash Madrassah (16c). And after lunch: Lyab-i-Hauz (17th century), Nadir Divanbegi (17th century), Magoki Attari (16th century), Ulug Beg (15th century), Abdul Aziz (17th century) Madrassahs. And visits to: the Registan Ensemble, Ark Fortress (16th century) and Bolo-Hauz complex (18th century). In the evening transfer to Samarkand (270 kms, 3-3.5 hours) and accommodation in a hotel. Samarkand, with lots of blue after the brown of Bukhara. Samarkand is not only a legendary Silk Road city, is also a city with more Soviet influences, and much bigger than Bukhara. 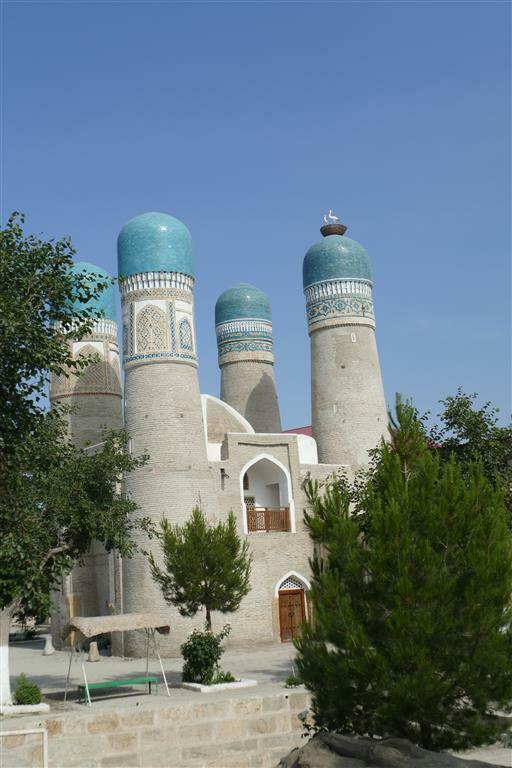 – Guri-Emir mausoleum where legendary Amir Temur and his family are buried. – Registan Square-famous complex of three Madrasahs and the golden dome mosque. – Bibi Khanum Mosque – the largest mosque ever building over in Central Asia, as a gift from Tamerlame’s wife to her husband! – Shahi – Zinda necropolis, a sacred place and cemetery with the graves of Temured’s dynasty and the grave of a cousin of the Prophet Muhammad. 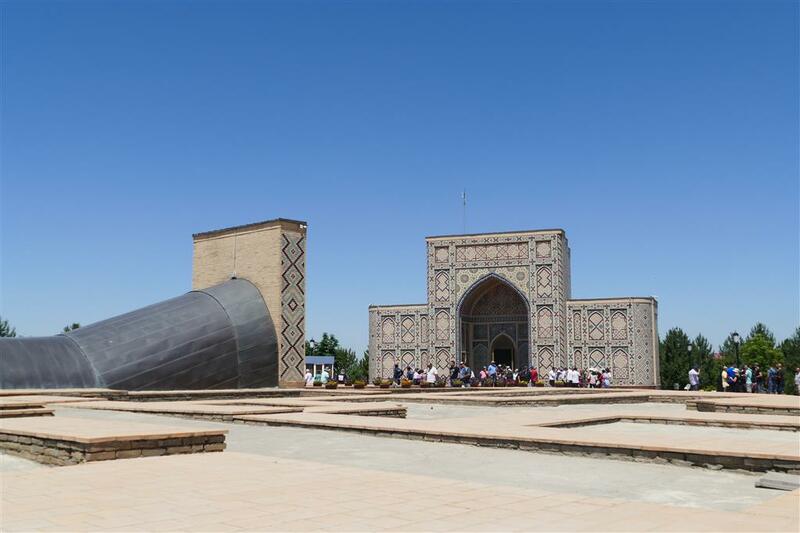 – The Observatory of Ulugbek – an incredible (really!) structure from the 15th century to study astronomy. Transfer to the railway station and catching the fast train to Tashkent (3 hours). Transfer to a hotel and accommodation. In the morning transfer to the airport and flight to Almaty, the former capital of Kazakhstan and the third country in this tour. First you will be taken to a hotel in the city, have time to check in and have a lunch. 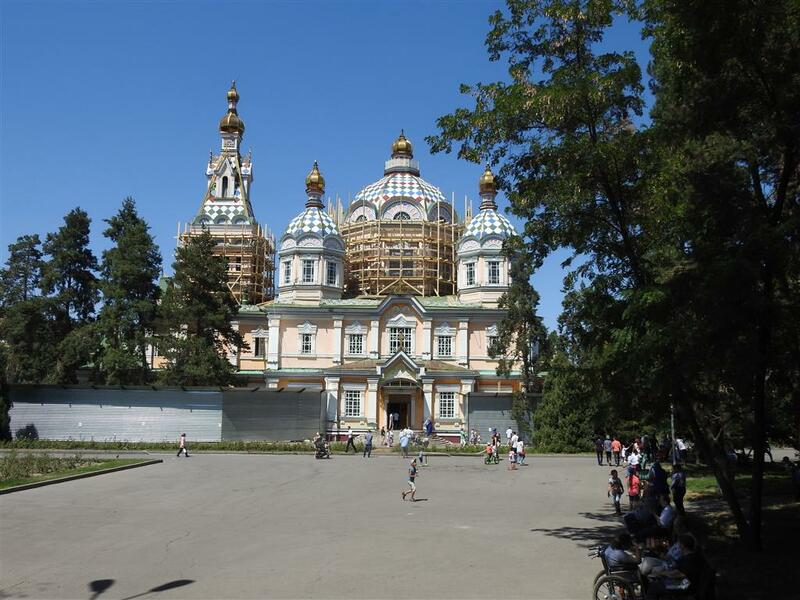 After lunch a city tour is programmed, including visits to Panfilov Park and the Zenkov cathedral, the neighboring museum of traditional musical instruments, the Central Museum, and the mountains surrounding the Medeo sports complex. Almaty is situated beautifully against the backdrop of snow-capped mountains, which are visible throughout the year. Return to the city, if you wish you can be dropped off at a recommended restaurant. The first day of a small round trip within the big trip. 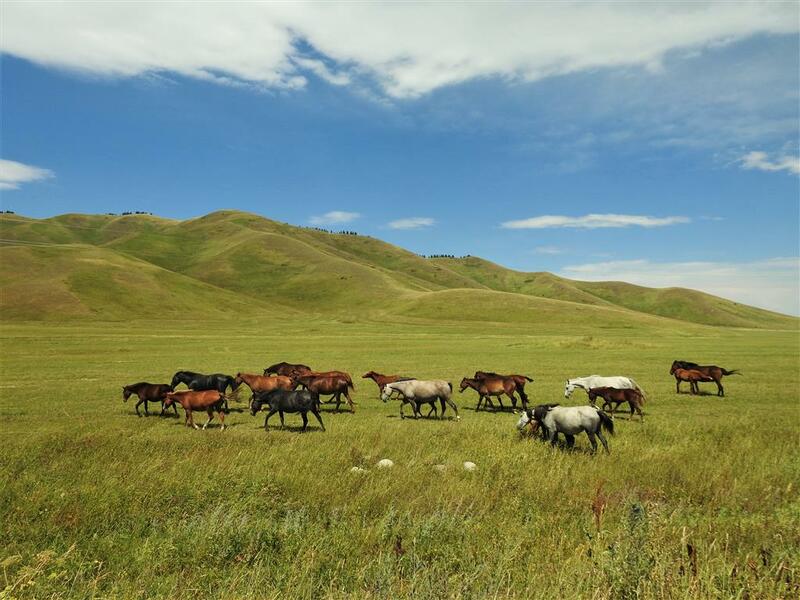 You will leave the city and for three days in a 4WD (car or minibus, depending on group size) and explore the diverse nature of the Almaty province, and country life in this part of Kazakhstan. 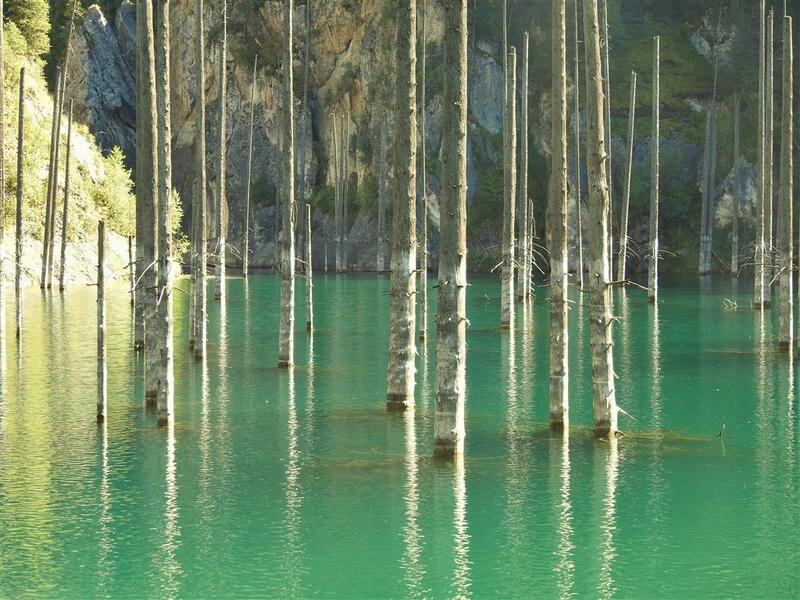 The first destination is the Altyn Emel nature park north of Almaty. 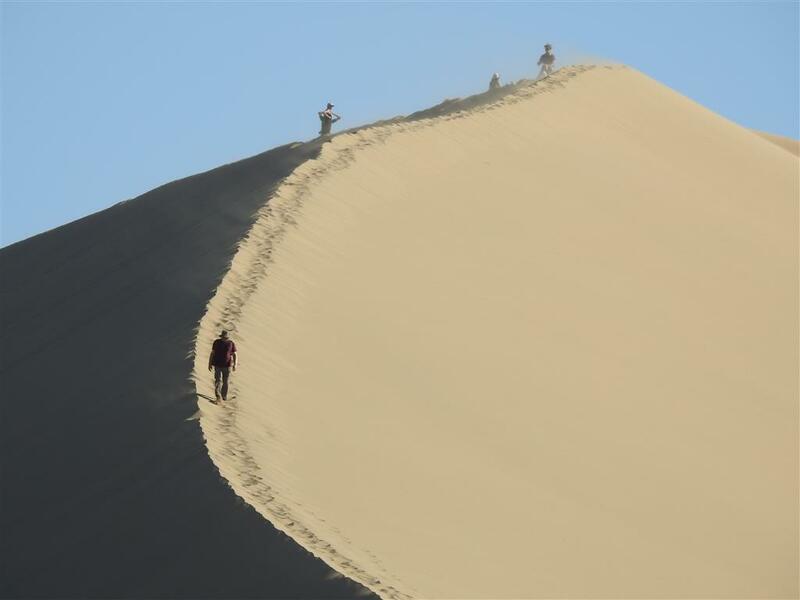 In this semi-desert you may well encounter interesting wildlife – wild asses and gazelles – and climb (or view) the Singing Dune, a huge sand mountain in the middle of a landscape where nobody knows how it got there. History is present in the national park by the Besshatyr Necropolis. 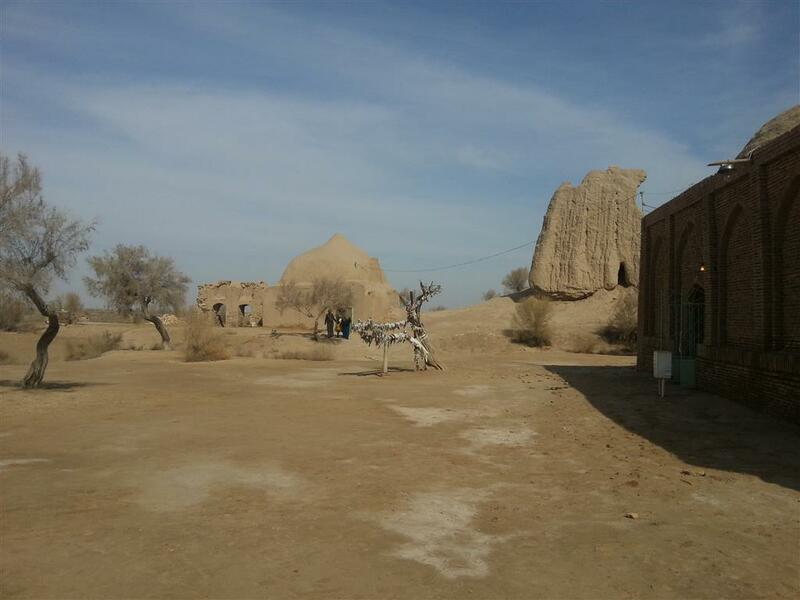 You end the day in a homestay in the village of Basshi. 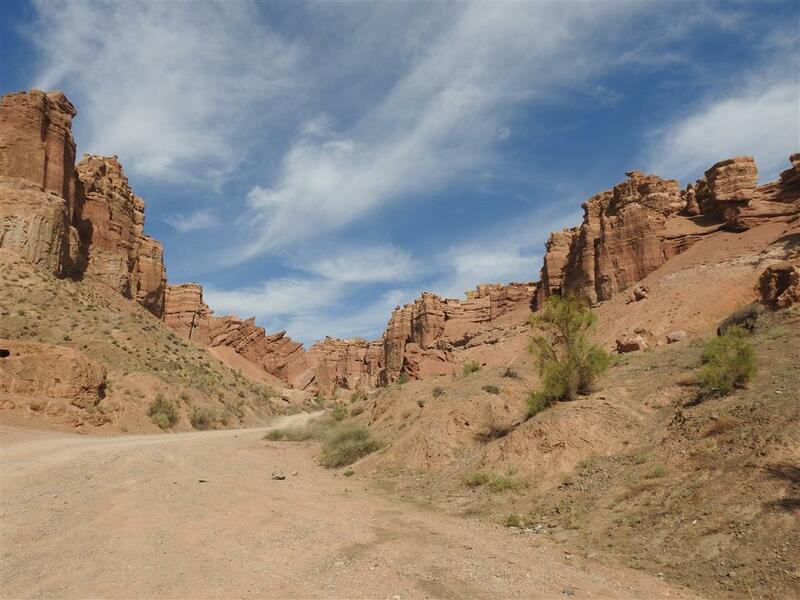 First you will visit Charyn Canyon, certainly the most spectacular attraction in Almaty Province. And an ideal place for hiking and having a picnic. Onwards, by moving towards Kyrgyzstan, through rolling steppe landscapes where in summer herds of horses apparently are runnung around freely, arriving in the village of Saty. This is the base for visiting the nearby (10 kms) Kolsai mountain lakes the next day. Accommodation and dinner in a homestay in Saty. The Kolsai lakes very much invite for walking, horse riding, swimming and fishing. The first mountain lake is situated at an altitude of 1800 meters and is the largest. The second lake is 14 kms away, including an ascend of 450 meters, a challenging hike (and back!) for a day. Unless you opt for a spectacular ride on horseback – not for cautious types! You end the day in the homestay in Saty at the local Kazakh family. Today we cross the border into Kyrgyzstan and enjoy a scenic drive to the town of Karakol. 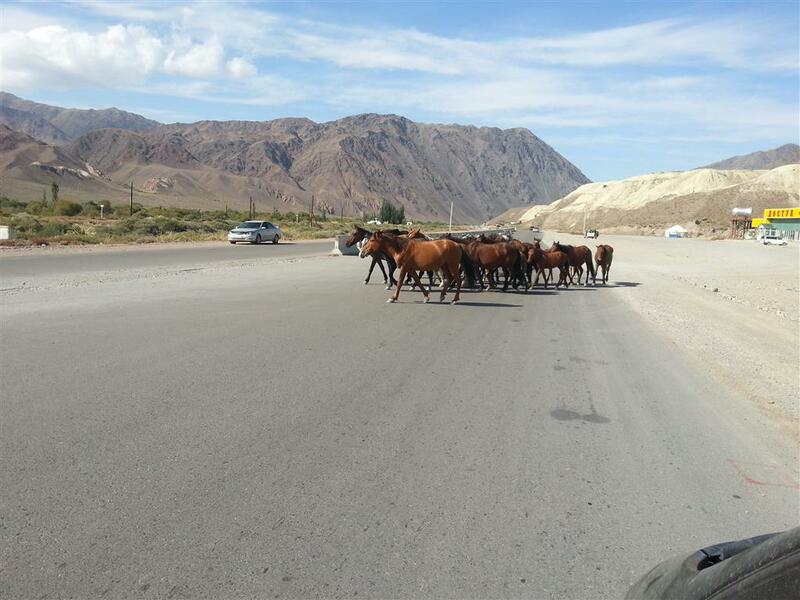 To get there you drive through the plateaus where in summer herds of cattle are grazing with nomads on their horses guarding them, while living in yurts with their families. 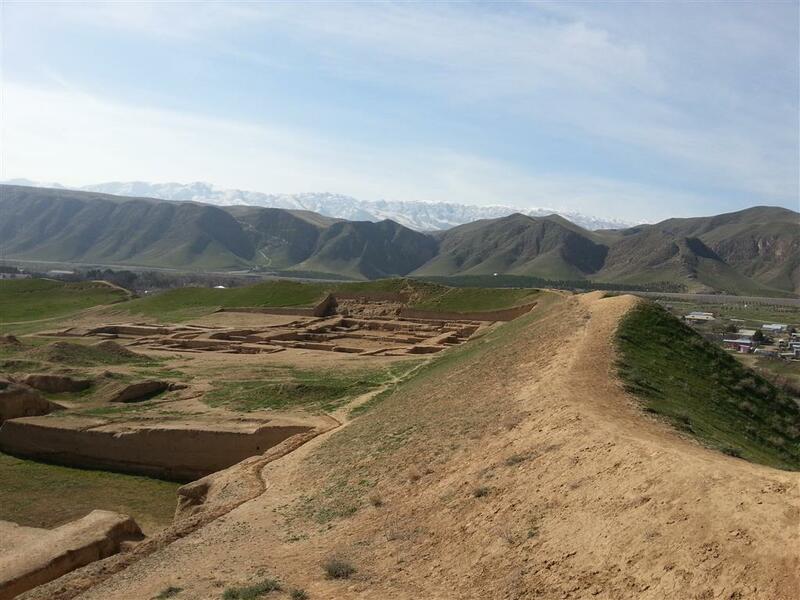 Please keep in mind that this border in the Karkara valley was closed for several years by the Kazakhs, re-opened in 2013 but only between May 1 and September 1! If time permits, you’ll enjoy an excursion in the town today, if not then tomorrow. Accommodation in a comfortable homestay or hotel. 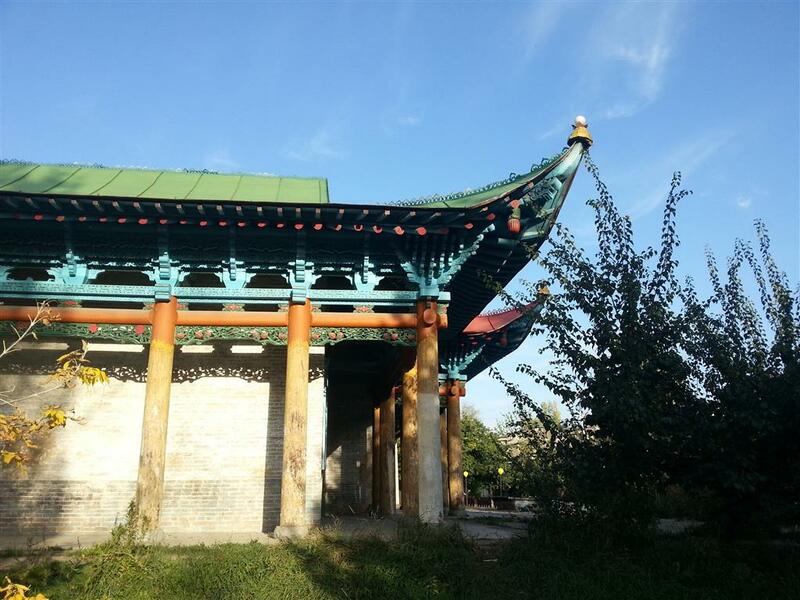 Depending on available time and wishes, either yesterday or tomorrow you can visit the attractions of Karakol; there’s interesting Russian Orthodox church and a Dungan mosque (which looks more like a temple) are definitely worth a visit. Nearby Karakol a special park is constructed in honour of Russian explorer Przwalsky, who died nearby here. 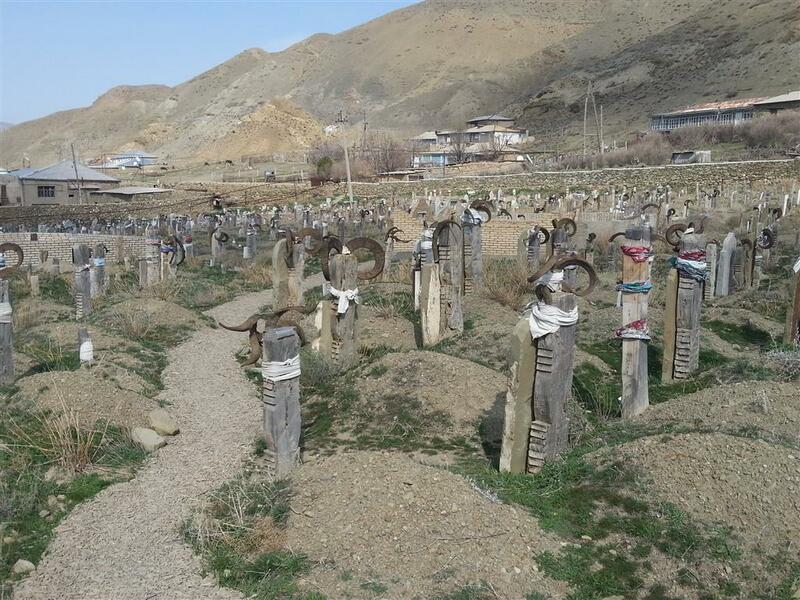 His grave and a museum bear witness to his fantastic trips in Central Asia, Mongolia and China. 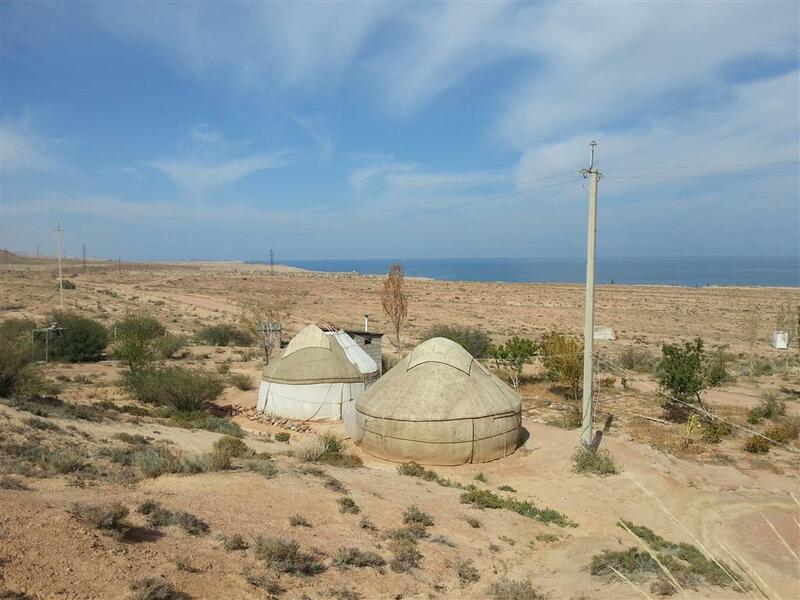 Not much further, to the south side of the Issyk Kul lake is the Jeti Oguz Canyon with wonderful red rock formations and a yurt camp, where you will spend the night. This is the day to take a dive in the clear waters of Lake Issyk Kul, on one of the beaches along the quiet southern side of the lake. You may first opt for a hike or any other activity in the Jeti Oguz yurt camp, before departing. Through the south side of the lake we reach another yurt camp, this time situated near the lake, with a nice view over the lake (especially at night, when the lights of the tourist north side are clearly visible, in combination with the sunset). Unfortunately, the journey is almost over. The final stage, from the yurt camp Bokonbaeva to the capital Bishkek of about 250 kms, along mostly good roads. It’s up to you whether you want to arrive in the city earlier or later, maybe wish to enjoy a a tour (or just some time to walk) in green and spacious Bishkek. In the city center the main attractions (museums, parks, buidlings, monuments) are all packed closely together. Overnight is in the city. Transfer to the airport, end of your tour! The cost of this program at six persons is €2,000 p.p., at four persons €2,195 p.p. and at two persons €2,895 p.p. For other group sizes please write us for an offer. Not included in the offer are the international flight tickets, visa for Turkmenistan (cost USD 100 approx. ), the remaining lunches and dinners, English guidance (optional) in Turkmenistan, Kyrgystan and in Kazakhstan outside Almaty, entrance fees in Turkmenistan and in Kyrgystan, and all not mentioned services. The cost for the flight Tashkent-Almaty is approx. USD 150.